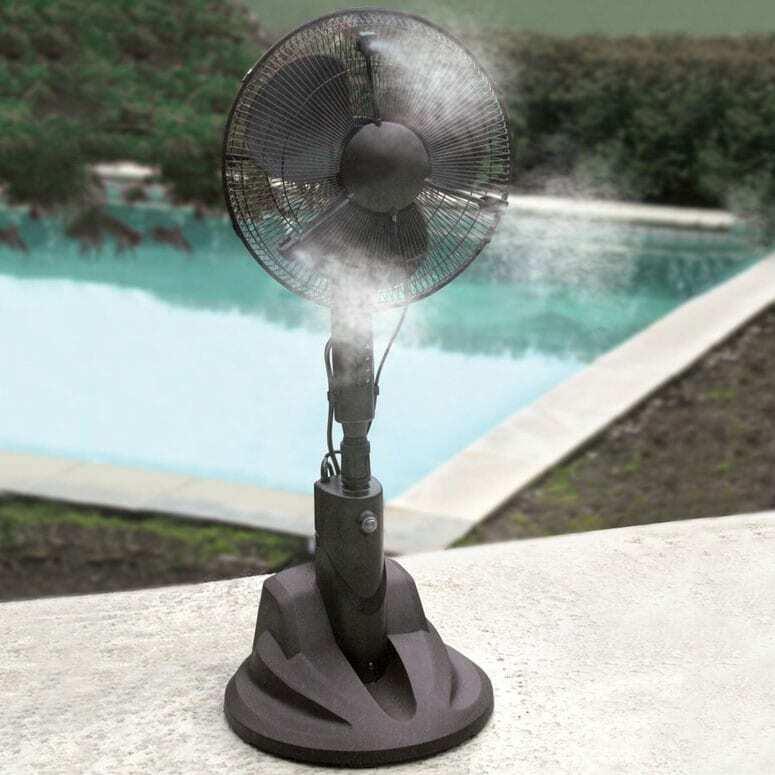 Dry mist fan is easy to use and keeps your guests cool at your event or gathering. This fan rental has two settings and uses: 1) as a commercial fan or, 2) as a dry mist fan. The dry mist mode requires adding water to the basin. You do not need a hose or permanent water source for this function but the unit must be plugged in. The unit has an adjustable fan speed and cools the temperature by as much as 30 degrees. It’s called a dry mist because the fine water that sprays from the unit is dry to the touch and cools the air directly. Therefore, it will not get your guests wet nor soak any clothing as the mist is too fine. This fan is an outdoor product and is great for use on the patio or in other large open outdoor spaces.